Find a DealerLocal Prices. Local Service. Local Freight. NOTE: If your delivery address is outside of the US, Canada or Caribbean please change your region selection at the bottom of this page. AIS tuned 1.0m stainless steel antenna for masthead or other similar installations. Has SO-239 socket & mounting L-bracket. Perfect for installations where the lowest possible windage is a requirement. Detachable cable makes maintenance easier. Although we call this a masthead antenna, it is also suitable for mounting anywhere the L-bracket suits the location. Example mounting locations from our customers are along side solar panels, bimini side, on an arch, above a radar, or at the upper edge of a cabin top. 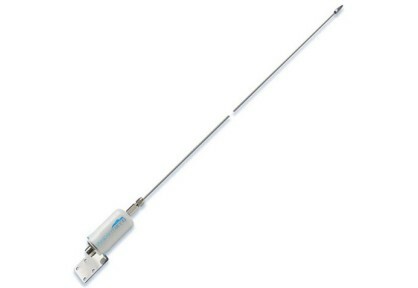 Note: This antenna is ideal as a dedicated AIS antenna. But if you are going to share an antenna between your VHF radio and AIS transponder using our Antenna Splitter, then choose our version of this antenna designed specifically for sharing with a VHF radio.